This recently remodeled detached beach cottage offers 2 bedrooms, 1 bath, private yard & breathtaking views! The home features gorgeous upgrades throughout with exquisite attention to detail. Fully furnished with top of the line designer housewares, make this beach rental truly a first class retreat. 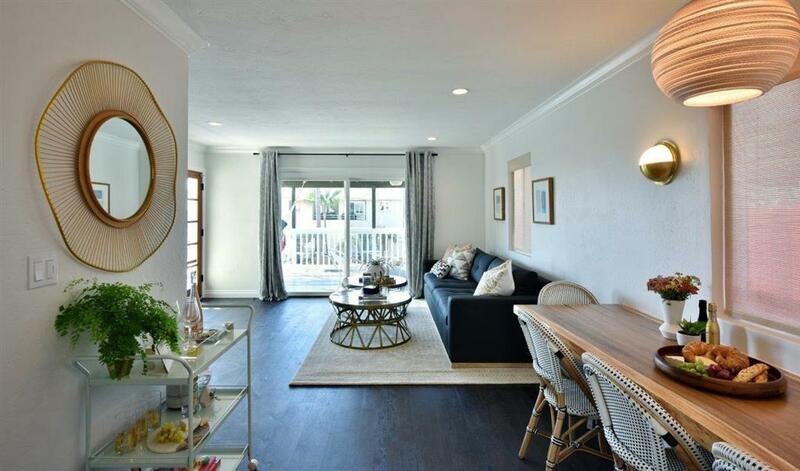 The cozy living room opens onto a covered patio deck where you can enjoy evening sunsets while dining outdoors. 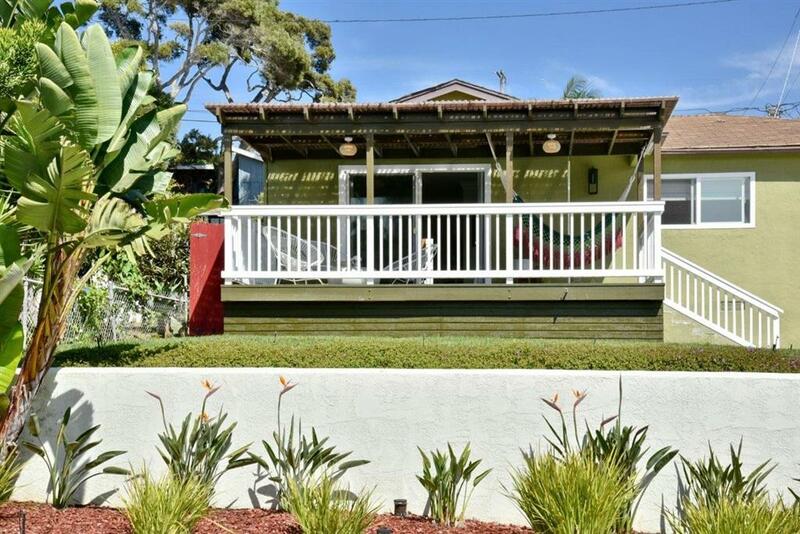 Walking distance to the beach, Glen park, restaurants, shops and market. Tranquil Midcentury Sea Cottage with privacy & breathtaking views cascading the horizon. The evening sunsets on the deck will complete your Zen experience in this charming coastal retreat. 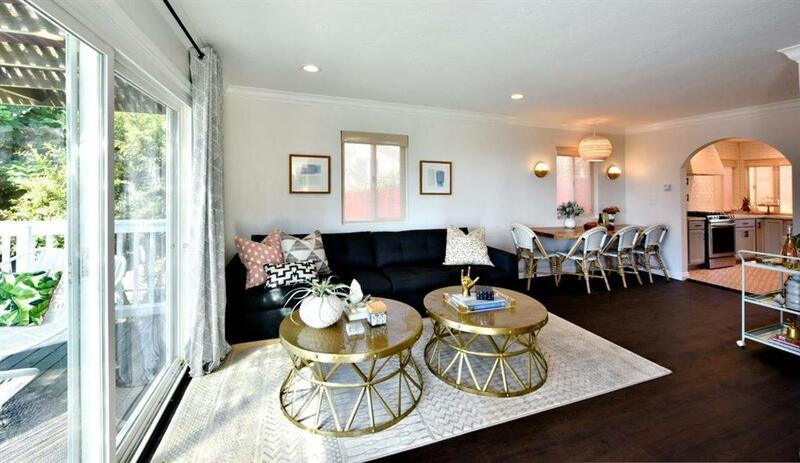 This adorable home was recently remodeled with Professional Interior Designer. No expense was spared to create a kitchen that would remind you of a French bistro and a bathroom that has been redone with modern fixtures with the most tasteful of upgrades. Each of the two bedrooms create a feeling of serenity starting with comfortable beds and are furnished beautifully. The cozy living room opens onto a covered patio deck where you can enjoy your eggs benedict for brunch or a glass of your favorite wine in the evening and take in the most beautiful of sunsets and enjoy the Sea breeze. The backyard is a beautiful space of privacy and quiet. You can enjoy an outdoor evening bbq with new barbeque and seating for 6. The outdoor lighting creates the perfect ambiance. 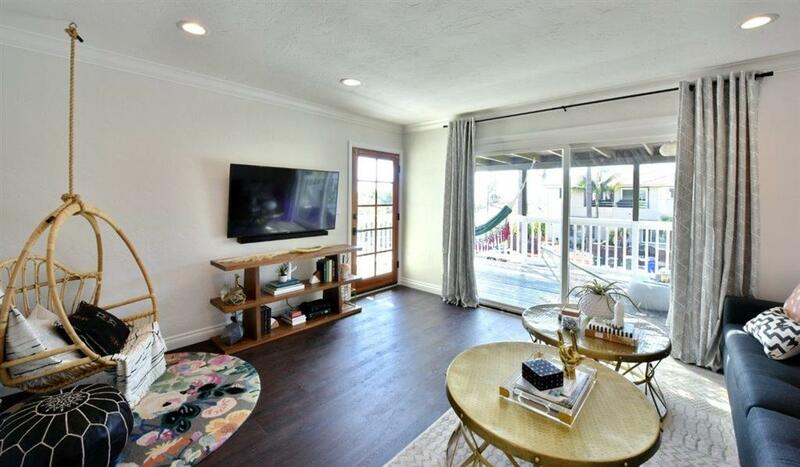 This little shangrala is within walking distance to various restaurants and the world famous Seaside Market as well as iconic beaches of Cardiff and Encinitas. If you want to take a local hike and take in the Cardiff experience, it is 5 minutes from the house and will be an afternoon of pure delight.